Masala khichdi recipe – made with rice and toor dal. It is flavored with basic spices and ginger-garlic. 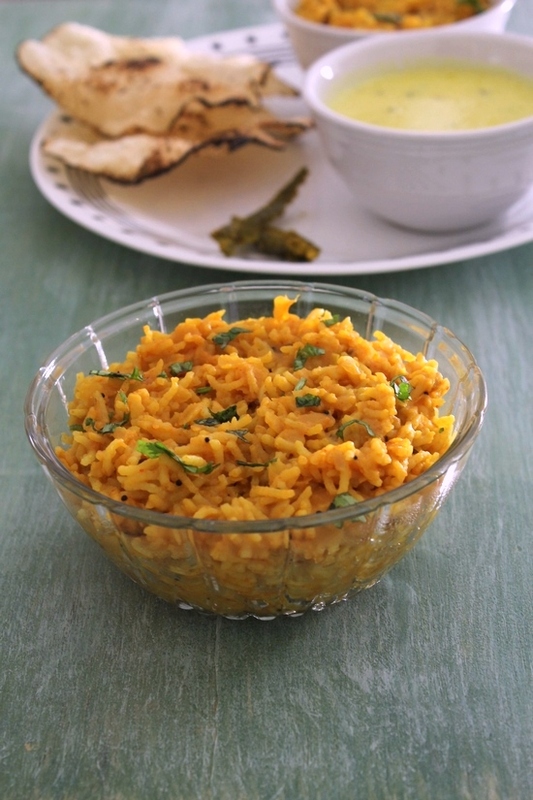 Masala khichdi is spiced with regular and basic spices. Only onions are added here. No other vegetables are added. So not much chopping is required for this recipe. The flavors are coming from the whole spices and ginger-garlic paste. The texture of it is slightly mushy and soft. It has melt in your mouth kind texture. It is not like pulao or biryanis where rice grains are separated. It is healthy and ultimate comfort meal. I usually make it once a week as a dinner. I do pair it with gujarati kadhi. this combo is very light on stomach and very easy to digest. Whenever we had heavy, indulging lunch; the same day I make this meal combo for dinner. For making masala khichdi, usually short grain rice is used. But I had long grain rice available in the pantry, so I have used that. You can use any, doesn’t matter. 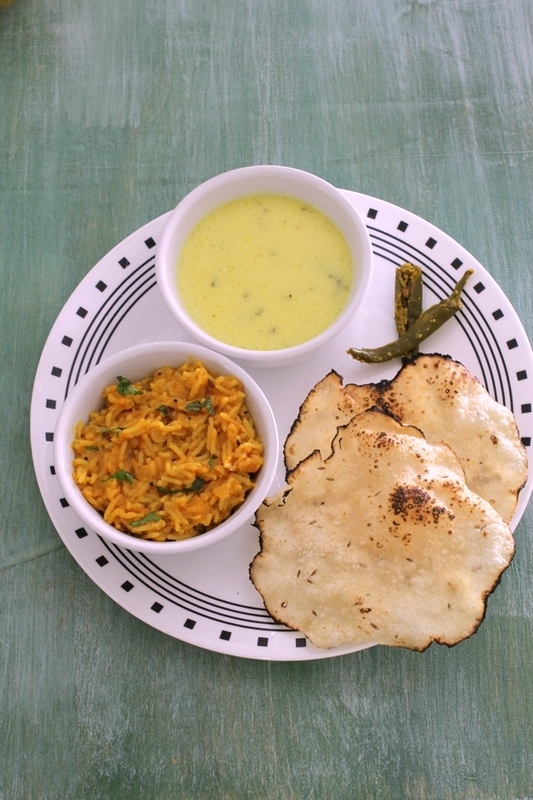 Ghee or clarified butter is essential while making any kind of khichdi recipe. But here, I have used oil, still it taste delicious. You can use ghee as well. 1) Wash dal and rice under running cold water till water runs clear. 2) Soak them in enough water for 15 minutes. Meantime, prepare rest of the ingredients. Now after soaking time, drain the dal-rice and discard the water. 3) Heat the oil in a pressure cooker on medium heat. Once hot add mustard seeds. Let them pop. 4) Then add cumin seeds, let them sizzle a bit. 5) Then add whole spices (cloves, peppercorns and cinnamon stick). Saute for 30-40 seconds or till you get the nice aroma of spices. Then add ginger garlic paste and saute for 30 seconds or till the raw smell of ginger garlic goes away. 6) Then add chopped onion. 7) Cook for 2-3 minutes or till the onions get soft and translucent. 8) Then add turmeric powder, red chili powder, cumin powder, coriander powder and salt. 9) Mix well and cook for a minute. 10) Then add drained dal-rice mixture. 13) Cover the cooker with lid, put the weight on. Cook for 3 whistles on medium-high heat. Then turn off the stove. Let the pressure go down by itself and then open the lid. 14) Stir well before serving. As you stir, it will get mushy and soft. Lastly sprinkle chopped coriander leaves and serve. To get the best taste, masala khichdi must be served warm. Serving suggestion: Serve with kadhi. This is the best combination. Alternately it can be served with plain yogurt (Dahi or curd). Serve some mango pickle or pickled chili and roasted papad to make it a complete meal. Wash dal and rice under running cold water till water runs clear. Soak them in enough water for 15 minutes. Meantime, prepare rest of the ingredients. Now after soaking time, drain the dal-rice and discard the water. Heat the oil in a pressure cooker on medium heat. Once hot add mustard seeds. Let them pop. Then add cumin seeds, let them sizzle a bit. Then add whole spices. Saute for 30-40 seconds. Then add ginger garlic paste and cook for 30 seconds. Then add chopped onion. Cook for 2-3 minutes or till the onions get soft and translucent. Then add spice powders and salt. Mix well and cook for a minute. Then add drained dal-rice mixture. Mix well. Cover the cooker with lid, put the weight on. Cook for 3 whistles on medium-high heat. Then turn off the stove. Let the pressure go down by itself and then open the lid. Stir well before serving. As you stir, it will get mushy and soft. Lastly sprinkle chopped coriander leaves. This dish has quickly become my hubby’s favorite dinners, among other recipes from this blog. It’s quick to make and delicious! Can I make this with Chana dal and if so what changes do I need to make for soaking/preparing? Yes you can make this with chana dal. Soak the chana dal for 30-40 minutes and then continue with same procedure and same number of whistles. missed ginger garlic paste during preparation……. 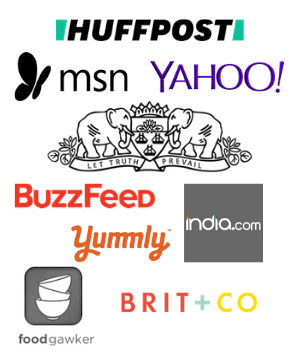 its mentioned in ingredients…..
Opps. Thanks for catching the error. I will update that soon. Looking good as usual, but would taste even better if you add Curry Leaves & Peanuts while tempering. yes Vimal, curry leaves and peanuts are great addiction. Thank you for the suggestion. Yes it is khichiya papad. Many call it papdi while many call this papad. But you are right it is made from rice flour. Woo looks yummy with that papad and green chilies. I just made it yesterday almost the same way but in non stick pan not in the cooker, will try it in the cooker next time. ohk, I have never made khichdi in pan. I always use cooker.